The French government entered the home straight this week in its preparation for a labour market reform. This flagship project of Emmanuel Macron’s young presidency will provide an explosive end to the summer holidays. EURACTIV’s partner La Tribune reports. This highly sensitive project is aimed at continuing the reforms started by former Labour Minister Myrian El Khomri in 2016, Its broad outlines were presented to the government’s social partners, business leaders and trade unions on Tuesday (22 August). Macron’s government hopes its efforts to make France’s labour market more flexible will pacify critics both in the business community and in Brussels. Among the measures on the table are an extension to the limits on joint ventures, a cap on payouts for unfair dismissal and the merging of employee representative bodies, with the exception of union representatives. However, some measures have yet to be completed by the government. These final additions will be presented at the council of ministers on 18 September and enacted shortly afterwards. But even this week’s foretaste could be enough to spark major resistance in the trade unions. The trade unions have repeatedly warned the government against crossing their “red lines”. The most vocal opponents are CGT and Solitaire unions; the only two to have officially come out against the reforms. Force Ouvrière (Workers’ Force), which opposes the El Khomri reforms, has said it will wait until the whole of Macron’s programme is available before passing judgement. The capping of labour tribunal payouts is one of the major sticking points for Jean-Claude Mailly, the FO secretary-general. He has hardened his tone on the issue in recent weeks, fearing a severe cut. CFDT, another union, is concerned that small businesses with 11 to 50 employees and no union representatives will be able to negotiate directly with employees. This government proposal is aimed at improving the social dialogue. In order to sugar the pill for the unions, Labour Minister Muriel Pénicaud has said she wants to increase severance pay from September; a long-term demand of both CFDT and FO. But concessions to the unions may not be enough to keep workers from taking to the streets. Measures announced by the government as part of its plan to cut public spending, such as the reduction of housing benefits, the re-establishment of a day of unpaid sick leave for civil servants and the freezing of subsidised contracts, have angered the unions. CGT said the contract freeze was a “gross error of judgement from the government” and has planned a demonstration for 12 September. The union Solidaires has called a demonstration for 30 August against the summer university run by Medef, France’s biggest business lobby, while the other major unions are awaiting the publication of the labour market reform in its entirety before taking a stance. France’s students’ unions have also chosen to wait and see before taking to the streets, as they did against El Khomry’s 2016 reforms. But according to the biggest students’ union, FAGE, “anger is mounting on the campuses” due to increased precariousness, and demonstrations are a distinct possibility. 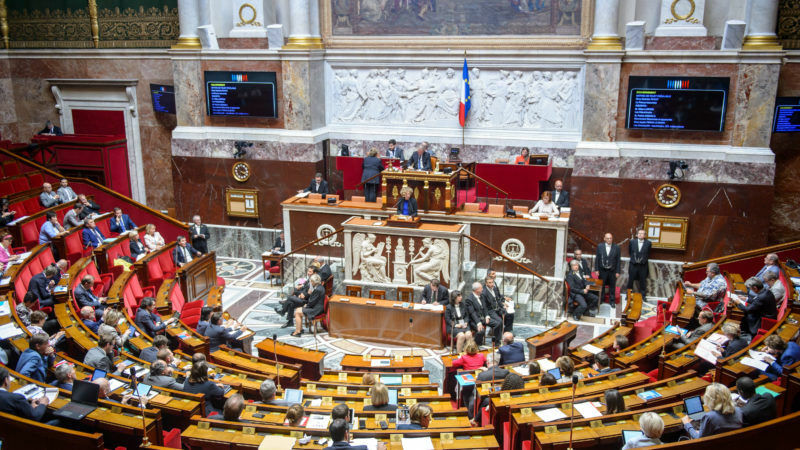 The government will present its complete labour law reform on 31 August, Prime Minister Édouard Philippe told Le Parisien. “The dialogue has gone on throughout the summer to finalise this project, which will be presented on 31 August, and the definitive texts will be approved by the council of ministers before the end of the summer,” he said. The government said it wanted to allow unions and business leaders to examine its reform plans this week before making them public. Then it will be up to the Council of State to judge their legality and their fitness for purpose. “We want to secure the employer-employee relationship with rules that are simple and predictable for everyone,” said the prime minister. With this reform bill, “we are keeping all of our promises”. If the legislative process goes according to the government’s plan, the reform will enter into law on 25 September.